Fun food usually starts with a creative story. 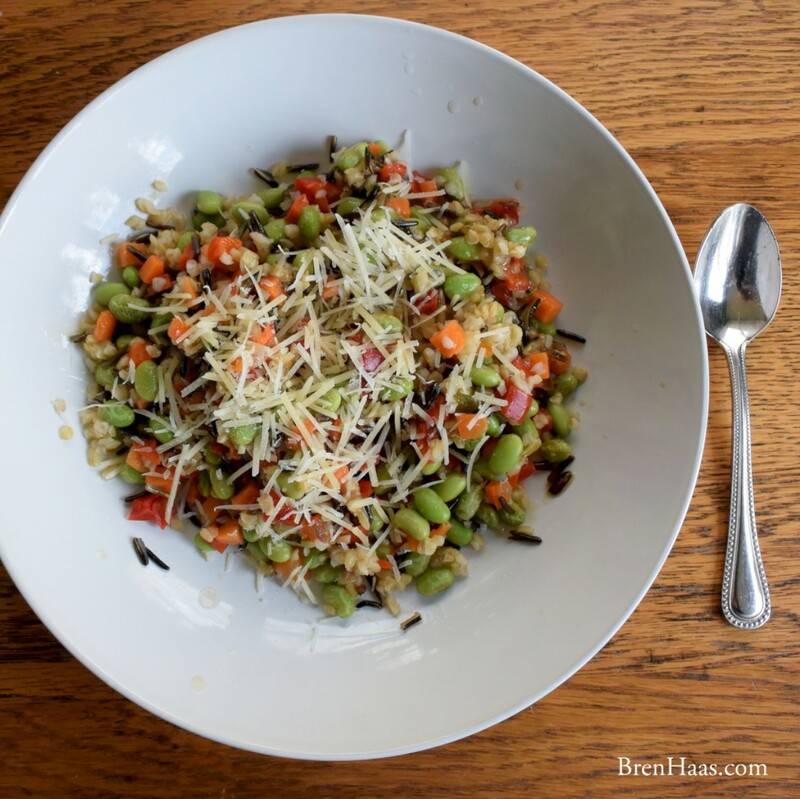 In today’s post, discover my sweet ancient grain and edamame salad recipe. 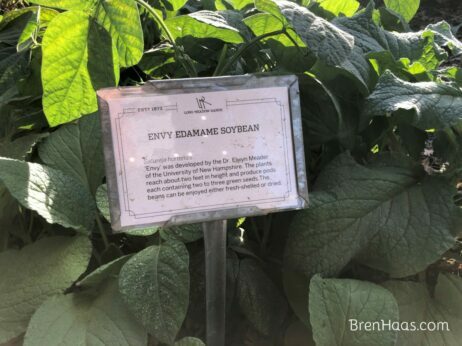 The first time I had edamame I was so confused by the name. My family and I were at a cool Japanese restaurant in Orlando with our friends ED and his wife who is a Mommy of two just like me. Did you catch that? Ed-a-Mommy. Over the years that is how I remember that tasty little steamed green soybean treat. I added a little cheese on top! 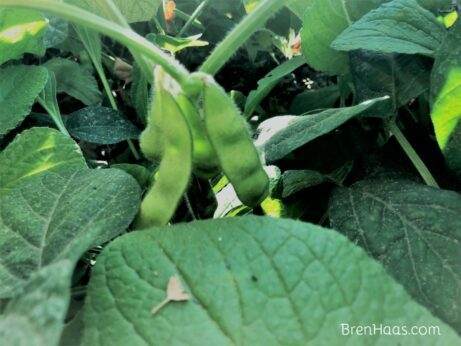 I love eating steamed Edamame as a snack and a few years ago I even grew my own here in Ohio. In today’s post, I want to share with you a tasty recipe I put together after being inspired by a salad mix I found in the freezer department. Place the almonds in a medium frying pan over medium heat and toast, stirring often, until golden brown about 8 minutes. ** DO NOT BURN - sit aside. Add the sesame seeds to the pan and toast, stirring often, until golden brown, about 2 to 3 minutes. Add to almonds. 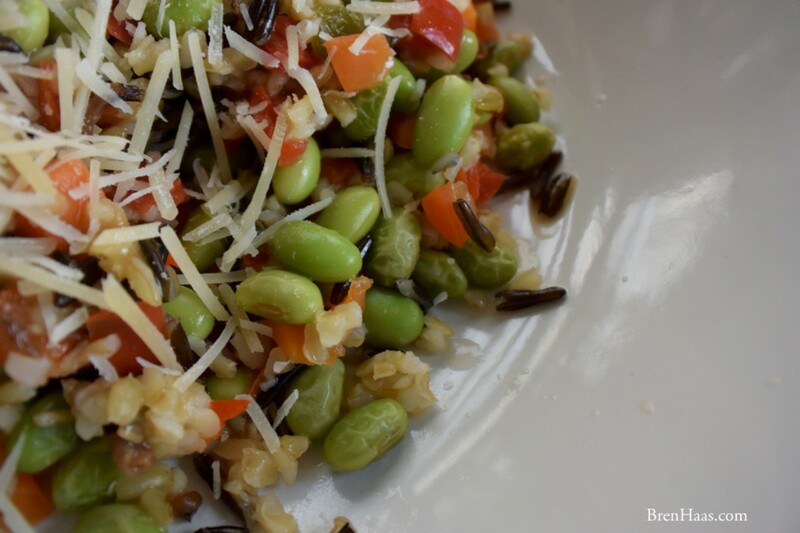 Add the cooked grain mix and rice,edamame, carrots, onion and sweet red peppers to the bowl with the almonds and sesame seeds and toss to combine. Whisk the olive oil, sesame oil, rice vinegar and honey in a medium bowl until combined. Drizzle olive oil mix over the grain and rice mixture and toss to combine. Refrigerate for at last 30 minutes before serving. Photo from a beautiful garden I stumbled upon in Napa Valley Region during our Route 66 Adventure. 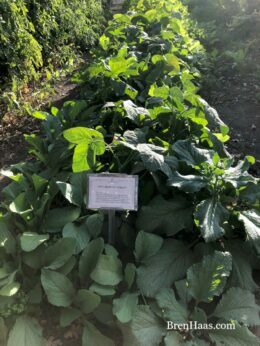 This garden is at the Farmstead at Long Meadow Ranch. Are you a fan of Edamame? Do you think you might try this recipe? I’d love to hear from you so please comment or leave a message on my contact page featured on this site. Thanks for the healthy recipe inspiration Bren. Can’t wait to try it! I’ll have more just for you…. getting creative with all the fresh organic greens I’ve got growing in the dome!